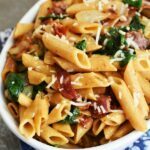 This Bacon, Spinach Caramelized Onion Pasta is an easy to prepare dish that can be made in one skillet once the pasta is boiled and drained. The flavor pairings of the savory bacon, caramelized onion, and spinach complement this dinner dish. 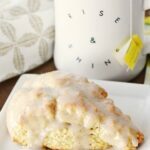 A few weeks ago many of you know I was able to place my first order with Terra’s Kitchen. I was super impressed with their food meal prep delivery service and was able to make several tasty recipes using their premium cuts of meats, and foods. Two of my favorite products they sent was the Whole Wheat Penne Pasta and the Applewood Bacon. These two deliciously fresh ingredients inspired this spin off recipe from their original which features kale. Since we love pasta so much in this house, I make it more frequently in the cooler months. I love the versatility of it, and how it is a perfect way to extend a meal to cater to more people, and servings. I often find myself adding smaller portions of leftover meats to pasta dish to not only use them up, but create heartier dishes. 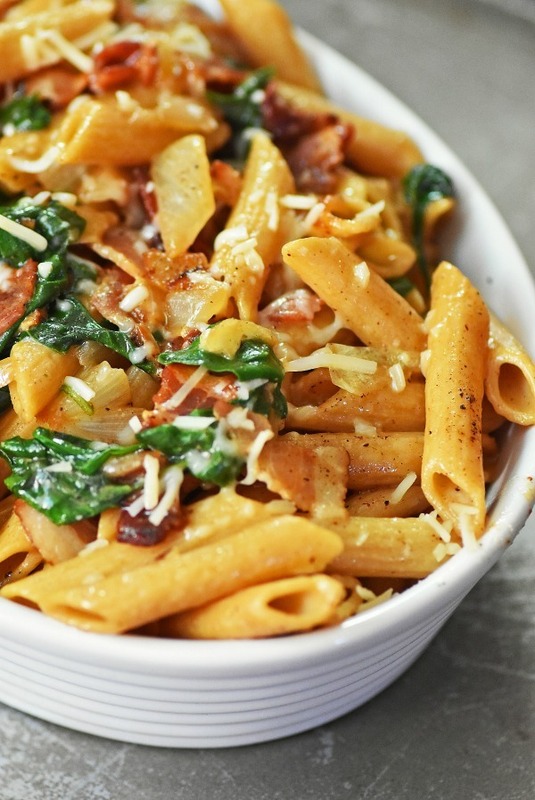 That is why this Bacon, Spinach Caramelized Onion Pasta is ideal for those last few ounces of bacon you might have leftover. 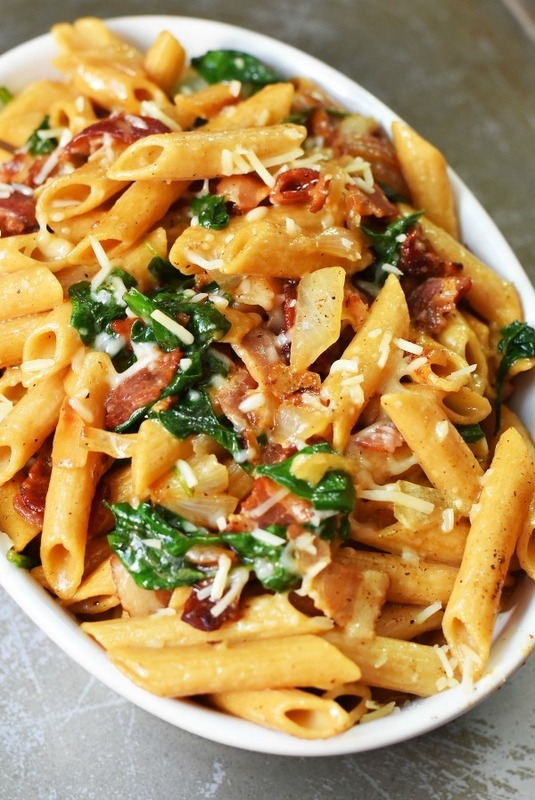 After making this Bacon, Spinach Caramelized Onion Pasta I knew I had a keeper. The recipe was so delicious that even the three picky kids wanted seconds (a rarity around here). The only problem is, I made a small batch and will have to possibly double the batch the next time around. Also, keep in mind that the original recipe inspiration from Terra’s Kitchen calls for kale so that can also be used if you have extra hanging around or prefer that over spinach. A hearty and flavor-packed pasta dish that is sure to win over your taste buds. In that same pan, and some butter, sugar, spices, and onion; sautee until the onion becomes tender, and bacon starts to crisp up. Once the pasta is done, drain it loosely, but leave a tiny amount of water and add it to the skillet with the bacon, and onion mixture. 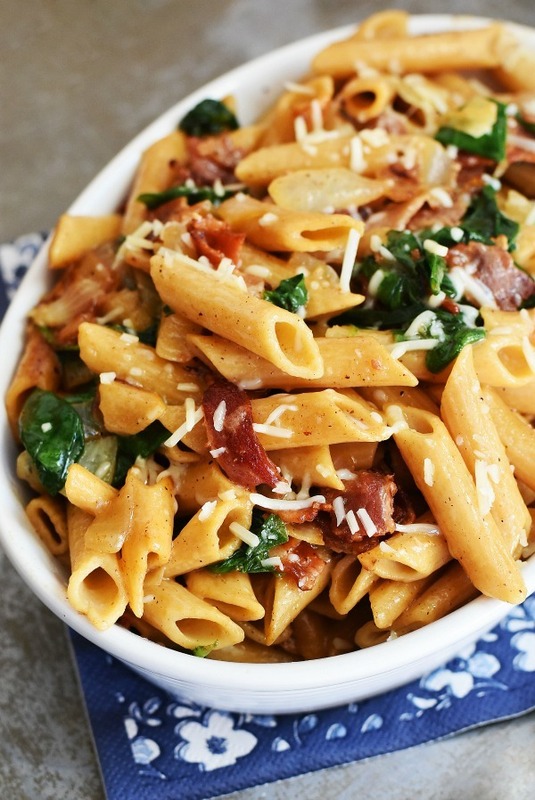 The beauty of this dish is once the pasta is boiled and just about all the water is drained, you add it to the skillet which will already have some juices from the bacon and onion. This is the “sauce” to this pasta and is so tasty and delicious. It was great to try a pasta dish that featured a light sauce that was something other than a traditional marinara. The Parmesan cheese ties the flavors in so well and is the perfect topping to this dish. This sounds amazing!!! I love a good pasta this sounds like one one that my family would love! This looks amazing! I love bacon and caramelized onions so I’ll have to try this. 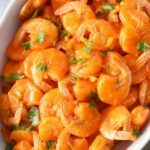 This recipe has everything I love all in one. I will have to get the ingredients I need to make this for dinner this week. My family will love it. This is a wonderful combination of ingredients. It’s like perfect fall comfort food! 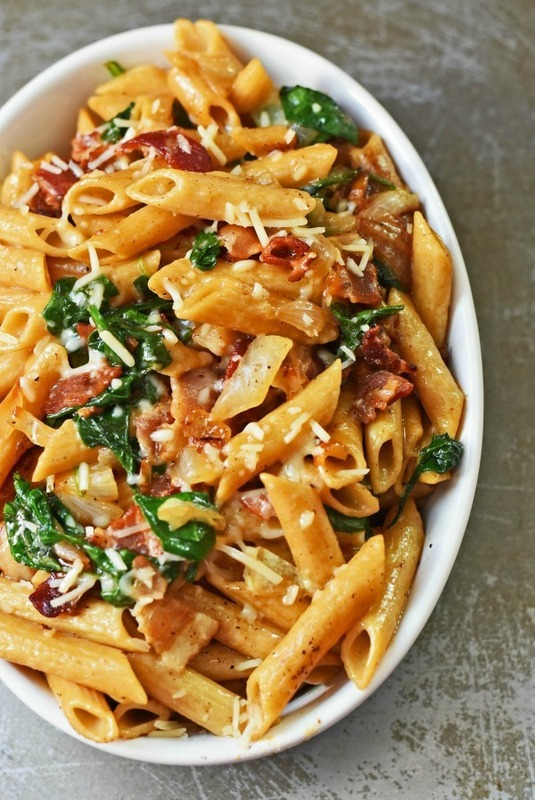 You can never go wrong with bacon especially paired with some pasta. 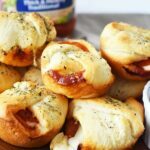 I will be trying this recipe out for sure! 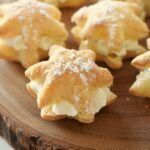 That looks amazing and pretty easy to make! 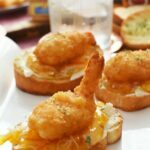 I’m definitely adding this to my menu plan! WOAH. I need all of this bacon-y onion-y goodness all up in my kitchen ASAP! Looks incredible!